I must admit that when I was first introduced to ultimate, I was pretty skeptical. I thought “Frisbee” was a game played by children and non- athletes at the beach. My background is in football, wrestling and mixed martial arts and I just couldn’t see myself running around chasing an upside down dinner plate. My first game took place after I moved from Los Angeles to Dubai a few years ago when a friend invited me to join in some local pick up. It took less than 10 minutes for me to realize that ultimate is not child’s play. The fitness required to sprint up and down the field, the skill needed to throw a disc accurately from a thousand different angles, and the intelligence that is essential to being able to read the field and consistently get into good position all made it clear that this was an awesome sport. I enjoyed the sport enough that when I was back in the U.S. visiting, I would stop by pick up games in whatever city I was in to meet new people and get a good run going. After playing a few times in various cities, I realized how different the game is in the U.S. compared to our pick up games out in Dubai. 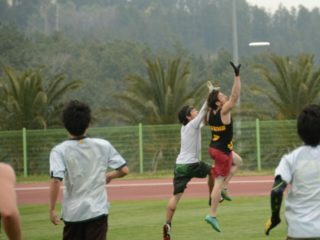 The main variance being that so many players in the U.S. played in high school and college and had excellent instruction on form and fundamentals from the very first time they picked up a disc. Those opportunities for instruction and coaching are just not available to us in Dubai unfortunately. I decided that I would enjoy the game more if I was a better all around player, and not just a reasonably athletic guy who liked to run up and down the field. However, because I picked up the sport at the ripe old age of 31, a little late to join a high school or college team, and because I started playing in Dubai, a city with a lot of really fun recreational teams, but that lacks the same high level instruction and training that is available in the U.S., I had to get creative in finding an avenue to improve. 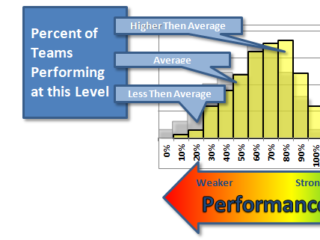 I did a little research and then sent an email to Ben Wiggins because he has a great reputation as a coach and is known for being a student of the game. I had some time in my schedule and offered to come to Seattle if Ben thought that would be the best way to learn. I also figured that it would be a fun week that would give me a lot of exciting game time. In typical Ben Wiggins fashion, he took my simple request and went way above and beyond. We exchanged a few emails and he invited me to Seattle and set me up with a seven-day schedule filled with a ton of ultimate games and training sessions with some of the best coaches and players in the game. Ben organized private sessions with several current and ex-Sockeye players, as well as Rohre Titcomb of Riot. It was a very aggressive plan with morning, afternoon and evening sessions most days and games on other days, but it was an opportunity that I couldn’t pass up after seeing what Ben had organized. I did not expect to make great strides in my capabilities in a single week, but I was hoping to leave with the building blocks that I would need to improve my skill set over time and with practice…and it sounded like a lot of fun! With Riot having just won a World championship and Sockeye finishing second at World’s in the open division, this was also a chance to spend time with a group of people who are legitimately among the best in the world at what they do. Whether it is ultimate, photography, dancing or anything else, rarely does someone become the best in the world at anything on accident and I did not want to miss the chance to spend time with such an accomplished crew. Chris Page (retired Sockeye): In-game positioning, field awareness and spacing. Sam Harkness (Sockeye defense): Defensive footwork and body positioning. Ben Wiggins (retired Sockeye): Dump cutting. 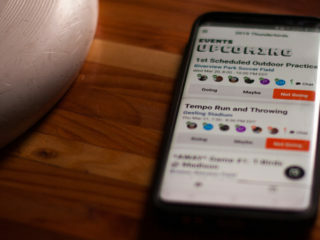 Each coaching session lasted between one and two hours and, in addition to the coaching sessions, Ben also had me playing Goaltimate at the Cap Hill neighborhood in Seattle one night as well as attending both a Riot and a Sockeye practice during the week. Ben provided a framework for the week and then each coach and I spoke and agreed on an exact time and place to meet for our designated sessions. Every coach was very professional and well prepared. Each of them had clearly spent a fair bit of time getting ready for my arrival and they each had a plan for what they wanted to teach me. I was able to spend plenty of time having beers and chatting with the coaches after the training sessions, but during our allotted times, it was all business with no minutes wasted. Each coach had their own style, and it was helpful to play in real games with some of them throughout the week and have them analyze me in action and offer advice. It was also eye opening to watch Riot and Sockeye practice and see how hard they work and how much they push each other to get better. With some days containing as much as six hours of game and training time, I was pretty beat up by the end of the week, but am extremely happy with the outcome. While I may not be able to throw a perfect hammer or stop Wiggins from hucking, I at least now have learned the correct form and positioning to practice in order to get me there one day! Seattle was, and is, the perfect venue for this kind of trip with fantastic fields all over town, great weather and arguably the deepest pool of ultimate talent of any city in the world. 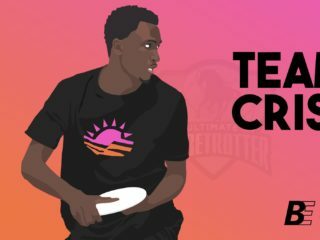 Not only can you play pick-up every night if you want to, there is mini, goaltimate, masters…you name it and Seattle can offer it when it comes to disc! Everyone in the ultimate community was so welcoming and I wish that I could have accepted every invitation I received to go out for drinks! I met many wonderful people, including athletes from the Ghetto Birds, Rainmakers, Voodoo, and of course Riot and Sockeye. I’m already looking forward to my next trip to reconnect with some of the great people who took such good care of me on this little adventure. All of the coaches I worked with during the week are extremely dedicated, intelligent and motivated people. It is no surprise that they are successful in many aspects of their lives outside of ultimate. I definitely learned a lot, and not just about being better on a playing field! 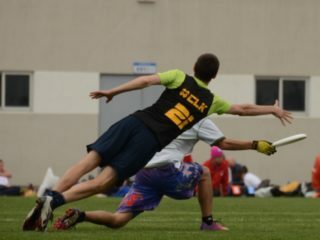 My only regret from the week is that I was not able to arrange to take on Eric Doesburg of Sockeye in a session of 50/50 ultimate where we try to out jump each other for high discs. I challenged him, but I’m pretty sure that he was intimidated by my range and hops. For the sake of his pride, I am willing to give him a second chance when I’m in Seattle next.